Are you seeking to stop using certain logistical packaging component? 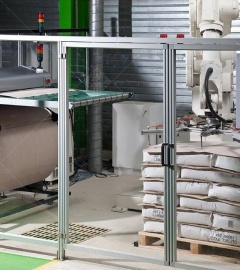 Do you want to reduce your shrink-wrap and stretch-wrap consumption? Do you need to increase your pallet height to reduce your storage and transport costs? Is one of your customers encouraging elements you to remove the cardboard outer boxes? Whatever the reason for your need to optimize your product palletization, our Technical Center can help you develop, test and validate the ideal solution for you. Using the best palletization software packages and with their packaging solution development and design capabilities, CGP COATING INNOVATION helps you optimize your costs and your environmental footprint. Box size optimization and other outer packaging solutions. Reduction in packaging consumable and implementation costs. Development of durable packaging solutions. CGP COATING INNOVATION's PACKAGING Design Office has enabled a French cosmetics company to optimize its packaging and palletization schemes.